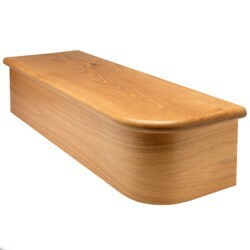 It’s not actually possible to create a bullnose step. This will be possible in the next version, actually in test phase for a probable release in September. Curved risers will be following shortly. I attach your modified stair model and installer for the new version in beta. Would it be possible to alter my dxf files to show a bull-nose curved step where number one knell post would be and then in turn move the knell post back to tread number to as the example picture shows. The curved bull-nose step is required adjacent to the right string board. I believe there was a short video circulating on the web site in stair-design 6 but i no longer can find it.